Civil War Heritage, and to encouraging the popular hobby of Civil War Re-enacting. Members often participate in Woodlawn events. Information about Civil War veterans interred in Woodlawn Cemetery is based on work begun by Roger Wilson who compiled a list of all Civil War Veterans buried in Marion County. His work was built upon by Michael Ray as a capstone project for his Museum Studies Certificate from Fairmont State University. 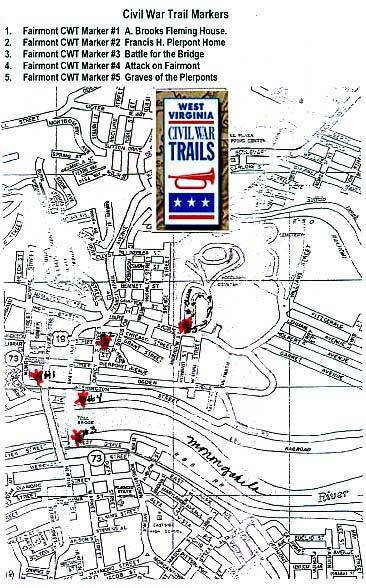 Ray's project was to locate, document, map and photograph as many of the grave sites as he could during Spring semester, 2010. Additional photographs, research and writing have been contributed by Gena Wagaman and Dr. JoAnn Lough, Professor Emerita, FSU. 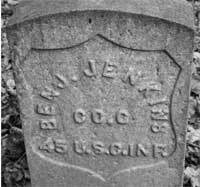 Marion County Civil War Veterans - Find a Grave is a virtual cemetery, created by Christine Banvard, and containing millions of gravesites across the United States. The United States War Department issued General Order Number 143 on May 22, 1863 establishing a "Bureau of Colored Troops" to facilitate the recruitment of African-American soldiers to fight for the Union Army, Regiments were recruited from all states of the nation and became known as the United States Colored Troops (USCT). Approximately 175 regiments comprised of over 178,000 free blacks and freed slaves served during the last two years of the war, and bolstered the Union war effort at a critical time. 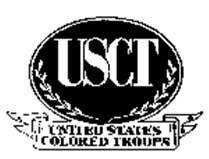 By war's end, the USCT comprised approximately a tenth of all Union troops. 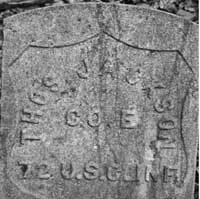 1,715 USCT soldiers were combat casualties during the war. At the time of incorporation, Woodlawn Cemetery did not allow African American burials. This is not true today. However, these U.S.C.T. veterans are buried in an adjacent cemetery behind the Ganoe Mausoleum. Bravery has no color, and hopefully, this burial ground will be incorporated into Woodlawn Cemetery proper and be included in Woodlawn's perpetual maintenance. In the meantime, Woodlawn LDS and other volunteers are carrying out all maintenance.